Tell us a little about how you started your business and who are your customers? 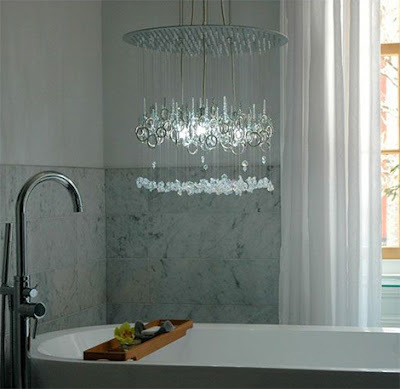 The idea for water pressure® was literally conceived during a bath renovation project in the futile search for the perfect light fixture intended to hang over the tub. Located below the bath of an upper floor apartment in which the plumbing was questionable, to say the least, we joked about needing a fixture where, if those pipes ever failed, you probably wouldn't know the difference. So "lather up!" was born as the whimsical portrayal of a rush of water meeting soap to build an invigorating bubbly shower. Our customers are architects and designers working on a variety of projects including residential, hospitality, commercial and even healthcare. 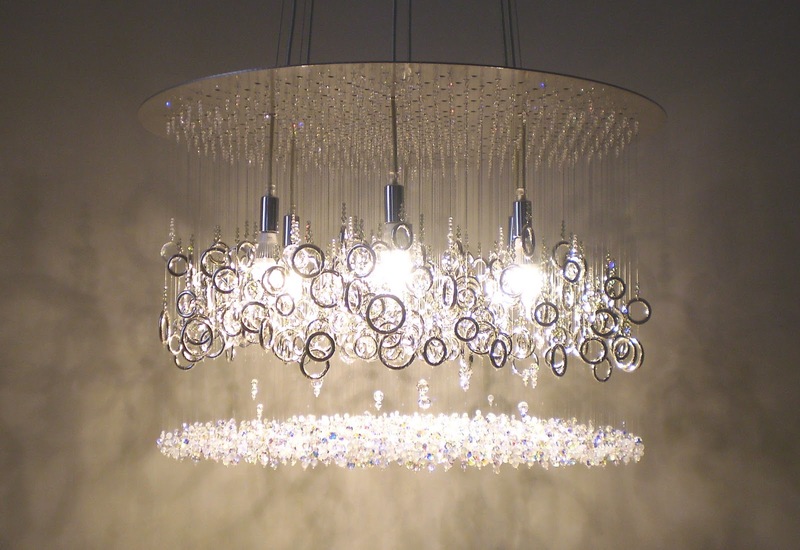 From idea to finished product – how does your designs become a chandelier ready to go on the market? It pretty much starts as an idea from an everyday image. We might just be staring at something very simple, like sitting on the beach watching the waves roll in, when it’s like “hey, look at that image”. Then the rough sketching comes into play with thoughts on types of components and lighting alternatives. Those ideas (and sketches) are then refined. From there we make the prototype, and once it’s in a tangible form, the design may be further refined. I’ve always been a believer that when you THINK you’ve completed a design, you must walk away from it and return a couple of days later to look at it anew. The fresh look reveals any issues or further refinements that are needed. Only then is it ready for market. 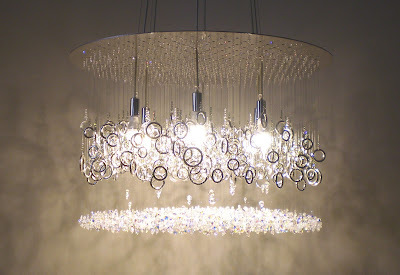 Can you describe how your chandeliers are crafted? Well, for starters, they’re all handmade. We can customize our standard designs to what a designer might need for a particular project. 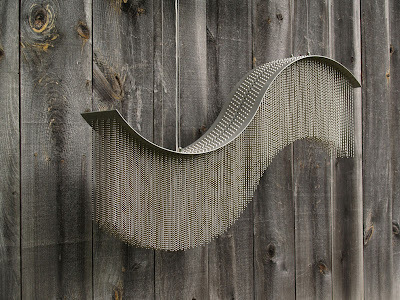 The steel for the fixture bodies is perforated, cut and then roll formed (depending upon the particular chandelier design). After that, the pieces are powder coated. For the designs in our crystal collection, we literally string each individual chandelier component by hand and apply them to the fixture body, making sure the component properly relates to others around it in order to give it the chandelier the overall “step back and see the forest, not the trees” image we’re trying to portray. 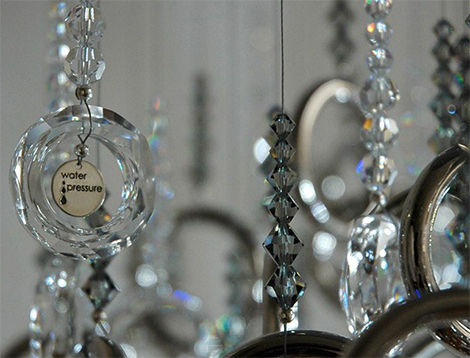 How does the reflection of light from the Swarovski crystals affect the mood of a room? What room do you envision your fixtures for? 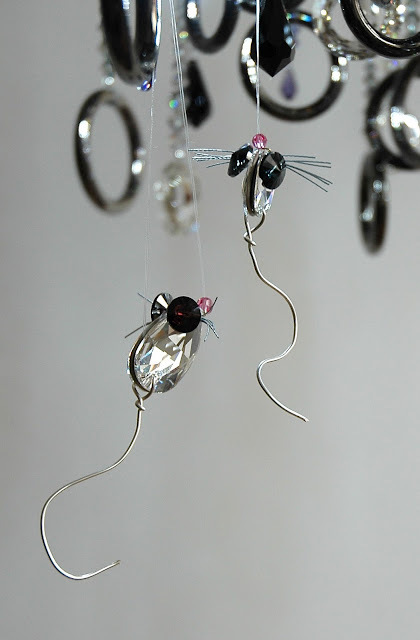 The reflection of light emitted from the Swarovski crystals is a constant dance. You move around the chandelier and the light is constantly moving with you. That’s the unfortunate part of photography of these chandeliers—you don’t see that aspect. Many people who view these chandeliers in real life tell us that the photos don’t do them justice, and I think it’s because of the lack of movement in a still versus the experience in person. 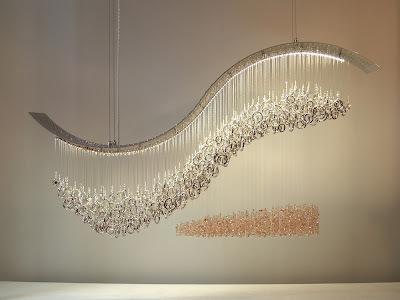 The crystal chandeliers lend a bit of “opulence” to a room; those in our “steel” series, however, are a bit more industrial, and the mood conveyed is more rough and urban, yet at the same time sensual and feminine, such as in the “rogue wave” chandelier. How do you see the lighting market in the future? 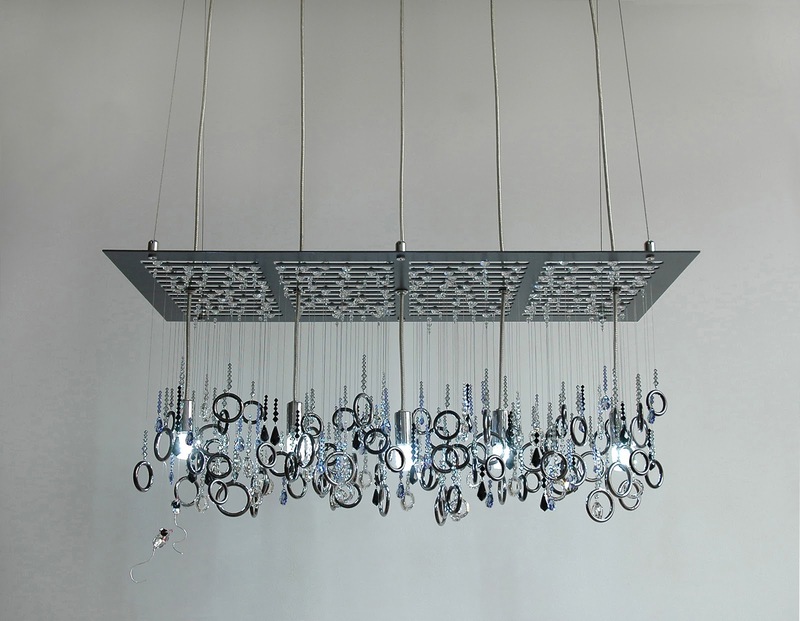 I see demand for more handmade/bespoke products, not just in lighting, but many other products on the market. People want something unique, and mass production just doesn’t provide that to them. Also, on a technical level, we see LEDs becoming more of a household item—even in the last couple of years that we’ve been producing our chandeliers, we see LED technology having really evolved. The LED ribbon light strip is the best product we’ve come across so far, particularly because it lends itself to being formed to the shape of our chandeliers. It’s also dimmable, long-lasting and energy efficient. 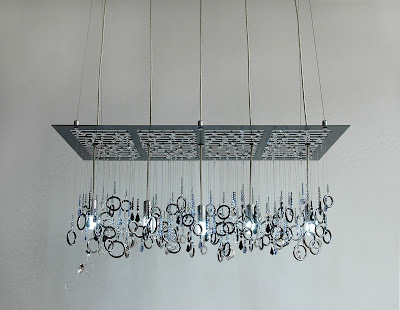 These chandeliers are wonderful converstion pieces and would accentuate any architectural space! Thank you Waterpressure Lighting for a wonderful interview!